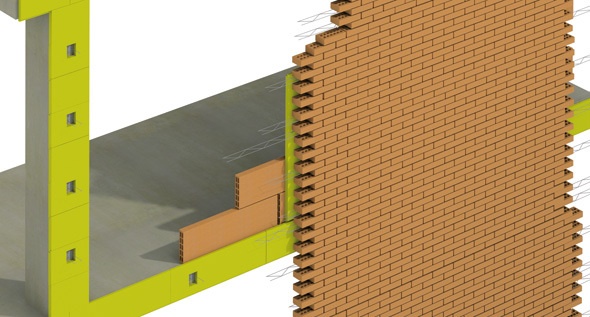 The GHAS® System was created to improve the performance of face brick facades and to avoid in a practical and economical way the construction problems inherent in the conventional systems. These theoretical and practical bases are later applied in order to provide a technical solution which is safe and economically competitive, both for outdoor walls and for interior partitions, especially in buildings over 12m in height. - Masonry made with concrete block or thermal clay block.